I love feel-gooder stories that boost my faith in humanity, so here's one for you on this fine Friday. I take you to last Saturday. A lovely day on The Plains, and a great day for a win against Starkpatch. My Uncle Mark (no immediate nickname came to mind, so we'll go with the real thing), came to Auburn to enjoy the game (as usual) and was also bringing with him 4 tickets for this Saturday's game against/at Clemson. He had the tickets in tow, because my brother was buying two of them from him, and they were to make the exchange at halftime. I don't have the full details of the story, but I'll give you the general jist. 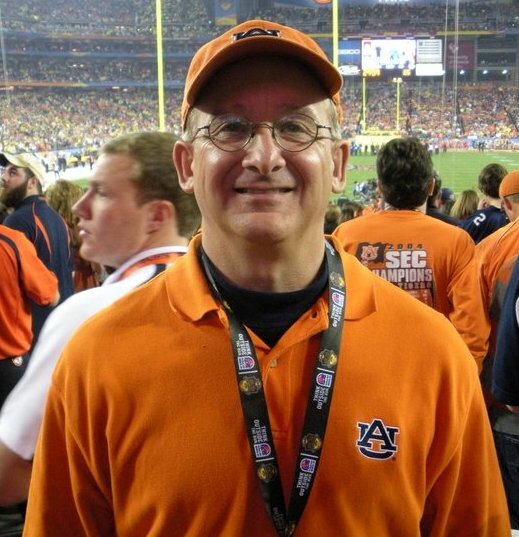 As it turns out, a faithful, wonderful, and TYPICAL Auburn Man found Uncle Mark's tickets and contacted the Auburn Ticket Office with hopes of finding the rightful owner and returning them to him/her. As luck would have it, Mark did indeed buy his tickets through Auburn, so they were able to track them back to him. This wonderful Auburn Man gave Uncle Mark a call and said he would overnight the tickets to him, so he would have them in time for Saturday. Mark, eternally grateful, offered/insisted to reimburse the gentleman for the shipping expense, but he wouldn't hear of it. "Just do a kind deed for someone else in the future," the Auburn Man said. And that was that. All was right with the world (well, that might be overstating, but that's what I do). So let this little story roll around in your soul a little bit today. It's so simple and something you would hope any decent person would do, but, when you hear it, it's a little surprising in the best possible way. Surprising, that is, if you don't really know Auburn people. Was I suprised? Delighted. Grateful. Inspired. Yes. But, surprised? Not really. That's just the Auburn Family, and it is real. Well this has been quite a week. I started off feeling all lovey dovey on Valentine's Day, and I'm finishing up with some heartache. 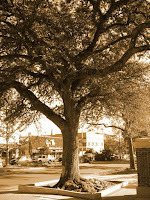 The internet is overrun with articles, blog posts, status updates, and tweets about the trees at Auburn's Toomer's Corner. I don't know why anyone would want to read another person's lament, but here it is anyway. I am heartbroken. I just can't believe something like this has happened. Like so many before me have said, it's one thing to play pranks in the world of college sports. These things are to be expected, and, really, enjoyed. Even the teams/schools/fans on which the prank is played can usually eventually find humor in it. 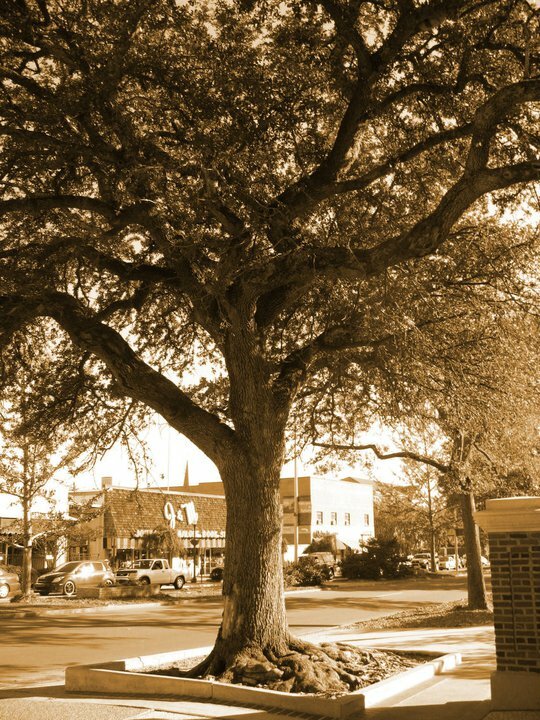 What happened to our beloved Toomer's Corner Oaks was not a prank and will never be funny...at least not to Auburn people. I've been amazed by the outpouring of support from fans of our rival schools and particularly Alabama. Rightfully so, sane and reasonable Bama fans are just as outraged as we are and are embarrassed to be associated with a complete loser like Harvey Updike. It warms my broken heart to hear and read all the love being sent our way. I've also loved the support we've gotten from some of the unbiased media. Let's face it. There's a lot of opportunity here for poking fun at the ol' Cow College and our affection for a couple of trees, but, by and large, it seems like most people "get it". And of course, there are a few who don't. There's more than one Harvey Updike in the world, and every fan base has them. I've made the mistake of reading through some of the comments at the bottom of articles and have seen the nastiness being slung around. I'm not really surprised. That being said, I'm happy to report that I've only seen one Alabama fan that I know personally who seems to be having fun with all of this. (Sidebar: Defriending someone on Facebook can be quite liberating). I really have nothing more to say to her or the others except - You don't get it, and I'm fine with that. You should be embarrassed, but the fact that you're not says way more about you than I could ever write here. You will have to live with what you did for the rest of your life. 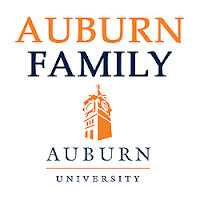 You are Public Enemy #1 as far as the Auburn Family is concerned. I feel sorry for your family and anyone who has ever called you their friend. You are a disgrace to the school and team that you claim to love and they think so too. I hope you realize that you failed. You may have killed our trees, but that's it and that's all. Your actions have made the Auburn Spirit stronger and more united than we were before all of this. Thanks for that, Harvey. As confirmed by officials at the University of Alabama, you never set foot in a classroom there, which is no shock to any of us. I hope you get the help you need and someday grasp the hurt you've caused. I have a feeling it won't ever make a difference to you. We know you hate Auburn. I think I actually prefer it that way. Just know that ALABAMA is ashamed of you. ALABAMA wants nothing to do with you. And ALABAMA hopes you get what you deserve. That's gotta sting a little. This whole thing with the Toomer's trees reminds me of the story of "The Grinch Who Stole Christmas". 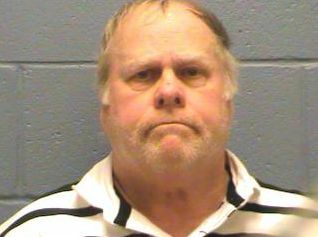 Perhaps "Al" aka Harvey Almorn Updyke, from Dadeville ought to read that book. The Grinch could no more steal Christmas by stealing the Whos' presents than "Al" can steal the Auburn Spirit by poisoning our Toomer's trees. Do you remember what happened when the Whos woke up and their presents were gone? I am sure they were upset at first but it just made them realize even more that the Christmas spirit isn't contained in boxes or bows-just as the Auburn Spirit isn't contained in those trees, so they still celebrated, and kept on singing. Spirit comes from and exists within, and no one, not even "Al" the Grinch, can take that away. In fact, hurtful and hateful acts only make the Auburn Spirit stronger because we realize how invaluable and intangible it really is. "And the toilet paper, the trunk, the branches and leaves, I'll bring it all down with poisoned disease. Their mouths will hang open a minute or two, all the fans down in Auburn will all cry BOO-HOO! That's a noise," grinned "Al" from Dadeville, "That I simply must hear!" So he paused. And the Grinch called "Al" put a hand to his ear. And he did hear a sound rising over the Plains. It started in low. Then it started to grow... But the sound wasn't sad! Why, this sound sounded merry! It couldn't be so! But it WAS merry! VERY! He stared down at Auburn! "Al" popped his eyes! Then he shook! What he saw was a shocking surprise! Every Tiger down in Auburn, the tall and the small, were still celebrating without any trees at all! He HADN'T stopped the Auburn Spirit from coming! IT CAME! Somehow or other, it came just the same! And the Grinch called "Al" stood puzzling and puzzling: "How could it be so? It came without paper or shakers or trees, it came without all these things indeed. And he puzzled three hours, `till his puzzler was sore. Then "Al" the Grinch thought of something he hadn't before! 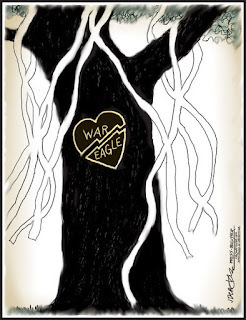 "Maybe Auburn's spirit" he thought, "means a bit more!" And what happened then...? Well...in Auburn they say that "Al" the Grinch's small heart hopefully grew three sizes that day, after of course, they locked him away!" War Eagle (internal shakers stirring and toilet paper flowing)! This was posted on an Auburn message board by "amyb". I'm not the Amy B that posted it (I wish I was! ), but I'm proud to share a name and an Alma Mater with her. Did Auburn Student's celebrate Bear Bryant's death by rolling Toomer's Corner? 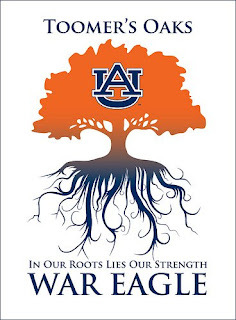 "We will take every step we can to save the Toomer's oaks, which have been the home of countless celebrations and a symbol of the Auburn spirit for generations of Auburn students, fans, alumni and the community," said University President Jay Gogue. 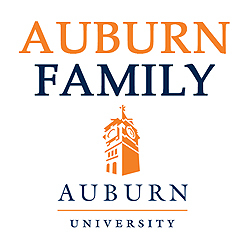 Gogue asked members of the Auburn Family to "continue to be 'All In' in upholding its reputation for class" and not allow anger to be expressed inappropriately or undeservedly. "It is understandable to feel outrage in reaction to a malicious act of vandalism," Gogue said. "However, we should live up to the example we set in becoming national champions and the beliefs expressed in our Auburn Creed. Individuals act alone, not on behalf of anyone or any place, and all universities are vulnerable to and condemn such reprehensible acts."